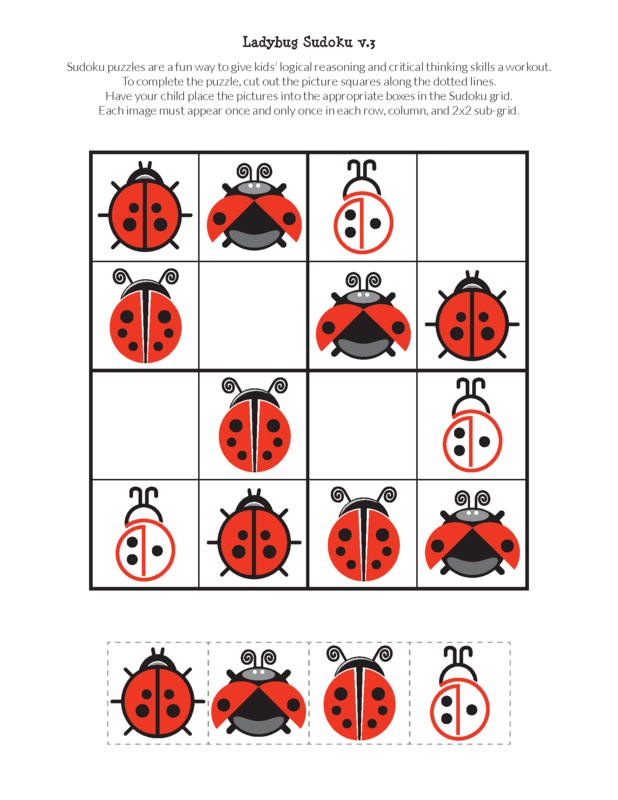 My favorite insect by far is the ladybug. Ladybugs are the one insect I have never been afraid of and have always liked to hold. Their bright red color is so beautiful. 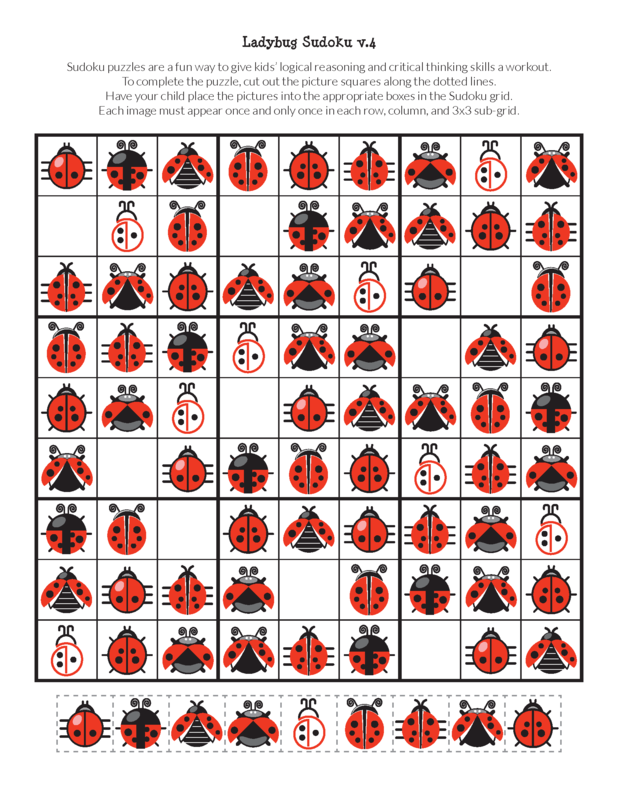 And did you know that a lot of cultures consider ladybugs to be good luck? 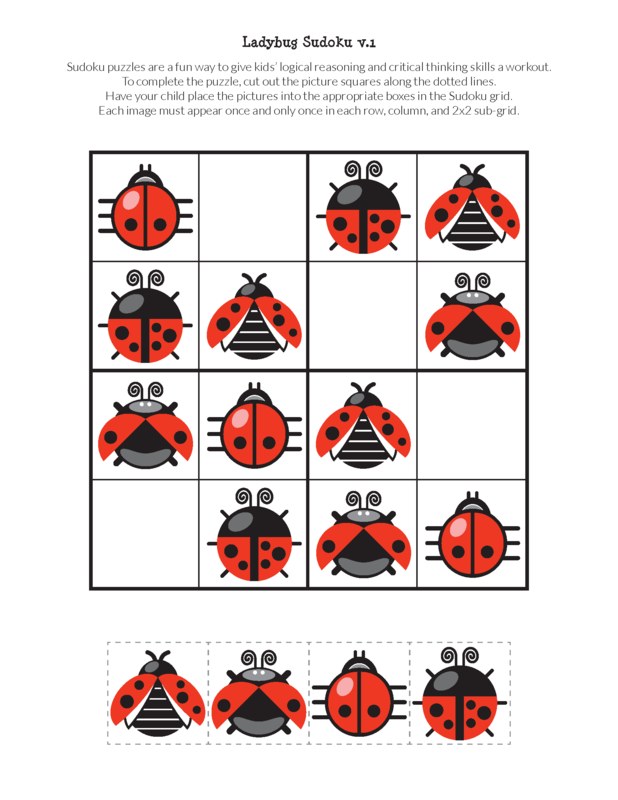 If your children enjoy ladybugs as much as I do, I hope they will also enjoy my Ladybug Sudoku game. 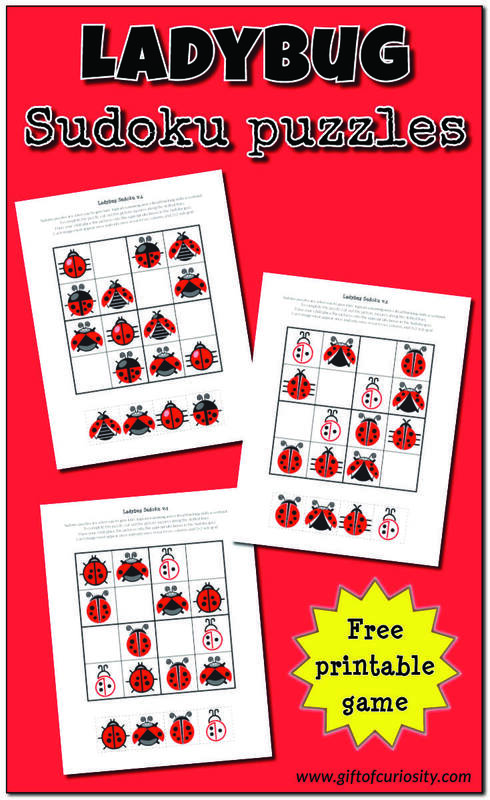 Note: For more Ladybug printables and activities, see my Insects Unit Study page. 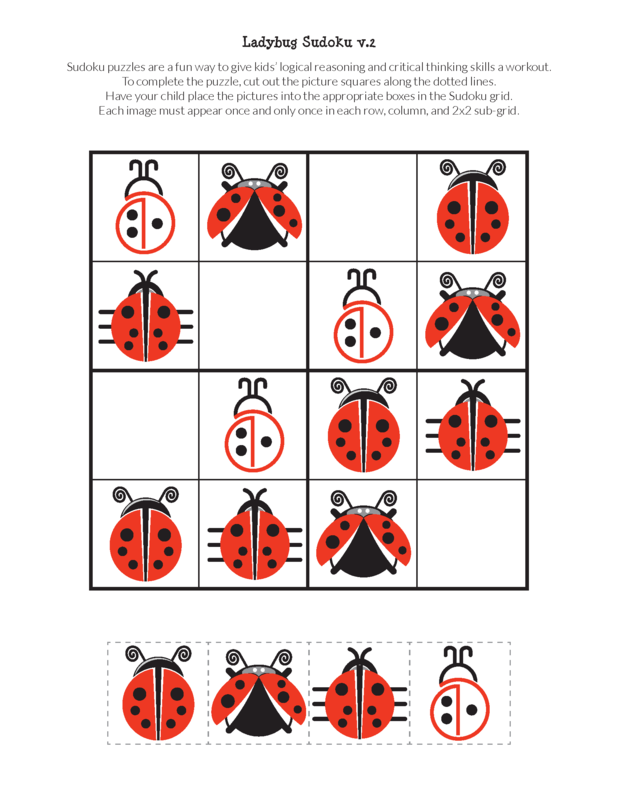 In the Ladybug Sudoku Puzzles I am sharing today, I have made the game kid-friendly by adapting it to use images instead of numbers. 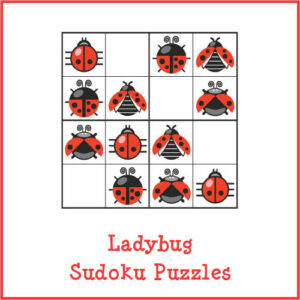 Want a copy of my Ladybug Sudoku puzzles? awesome materials. Thanks for all your hard work. Really appreciate your time and energy to make it easier for those of us who are not as talented or have the time. you are a blessing to us.